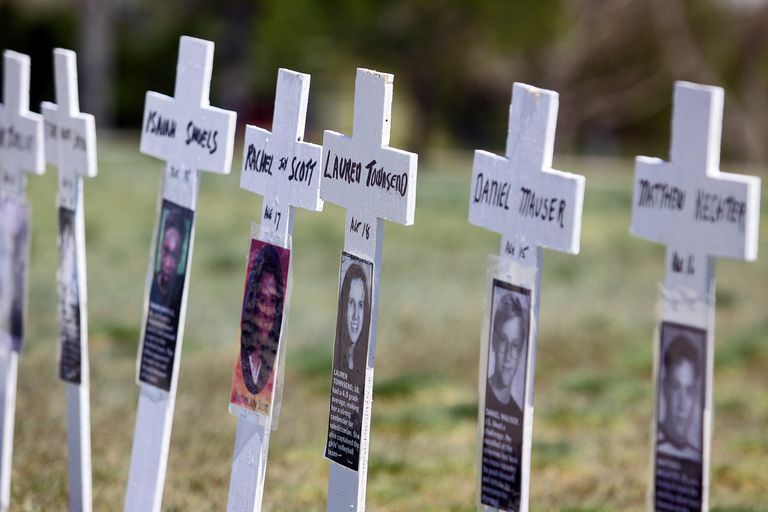 Ten years ago, on April 20, 1999, students Eric Harris and Dylan Klebold attacked Columbine High School, resulting in the death of 12 students and a teacher, as well as the wounding of over 20 people. The attackers eventually took their own lives. However, their actions continue to affect people and schools today. The tragedy at Columbine High School brought to light the importance of identifying risk factors for youth violence (such as a history of aggressive behavior, bullying, exposure to violence in the media), as well as the need for the development and implementation of programs focused on the early detection of these risk factors and prevention of school violence. Have Changes Been Made in Schools Since Columbine? A group of researchers from the University of Northern Colorado and Englewood Schools in Englewood, Colorado, were interested in examining what changes have Colorado schools made since April 1999 in order to prevent future incidents of violence. They sent out surveys to school mental health professionals at 335 public high schools throughout Colorado. These surveys asked school mental health professionals about mental health services and violence prevention programs and strategies in their schools before and after April 1999. The results of these surveys show that a number of services and programs were available to students prior to the Columbine shootings. For example, most schools (approximately 88%) offered individual counseling to students and had methods for identifying (approximately 71%) and dealing with (around 68%) students who might be at risk for violence. However, a number of changes were made after April 1999, with the majority of mental health services and violence prevention programs that were examined increasing considerably in availability. Some of these changes are reviewed below. 7% more schools offered social skills training. Other changes made (around a 5% to 7% increase across schools) included offering education programs on dealing with emotions, developing parenting classes, staging interventions for at-risk students, having an interagency team, and providing family therapy. Less change, however, occurred in regard to creating procedures for identifying students at-risk for violence, increasing the availability of contracted mental health services, offering peer mediation, putting in place mentoring programs, having peer counselors, and providing individual counseling. Many schools increased the number of violence prevention strategies (basically security) after April 1999. Around 13% more schools increased the number of available mental health providers. Despite these changes, many school mental health professionals wanted more changes, especially in regard to having more mental health professionals available in schools, the offering of parenting classes, and putting together conflict resolution programs. The biggest obstacle to making these changes, however, was a lack of funds and the availability of people to provide these services. It is hopeful to see that many changes have been made in public high schools in Colorado since the tragedy at Columbine in April 1999. Although more changes are desired (and likely needed), hopefully, these changes will be enough to prevent future tragedies. Of course, these researchers only surveyed public high schools in Colorado. Less is known about whether schools across the country have implemented such changes. In addition, it is important to note that preventing youth violence is not just up to the schools, but also a responsibility of parents and students. A number of risk factors for youth violence have been identified, such as a history of aggressive behavior, a history of mental illness, substance use, a history of childhood abuse, poor parenting, bullying, and excessive exposure to violence in the media. You can learn more about other risk factors and early warning signs from the American Psychological Association (APA), which provides an informative brochure on reasons for youth violence, recognizing the potential for violence in others, and how to manage risk for violence in yourself and others. The National Youth Violence Prevention Resource Center also provides information on a number of warning signs for youth violence. Crepeau-Hobson, M.F., Filaccio, M., & Gottfried, L. (2005). Violence prevention after Columbine: A survey of high school mental health professionals. Children and Schools, 27, 157-165. Bartels, L. (2002, April 13). Columbine 2002: The last class. Rocky Mountain News. Verlinden, S., Hersen, M., & Thomas, J. (2000). Risk factors in school shootings. Clinical Psychology Review, 20, 3-56. Which Racial Groups Are Most at Risk of Developing PTSD?